Transportation in Mykonos can be tricky, sometimes you might find yourselves in the middle of nowhere without any taxis or even a public bus services. Mykonos private driver will make sure to always be where ever you need to be picked up and transferred safely to your next destination. A private driver is a must in Mykonos, the roads are a bit messy and especially if you feel like going out partying and drinking we strongly recommend not renting a car on your own. Besides, you won't have to worry about parking, accidents or returning to your vehicle and finding it crushed by another careless or drunk driver. 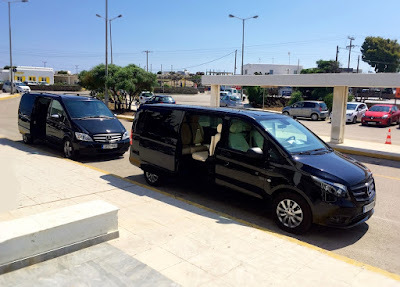 Our Mykonos chauffeur service can be designed according to your needs, a fully tailored service that will definitely meet your expectations. Sit back and relax on the leather seats and we will bring you to your doorstep. We will even carry you inside the villa if you can't and make sure you are all tucked in. This villa-like hotel was created in harmony with the natural beauty and traditions of the celebrated Mykonos island. Located directly on the sea of Ornos beach, just 10 minutes away from the town, airport and port, this luxury resort offers the intimacy of a private villa, as well as the services of a luxury hotel. From incredible works of contemporary art and sculpture to mosaics, frescoes and authentic antiques, the individually decorated rooms are an oasis of fine hospitality and enduring style. The only exclusive boutique-style hotel in Mykonos, it has been honored with the international five star diamond award by the American Academy of Hospitality Sciences. 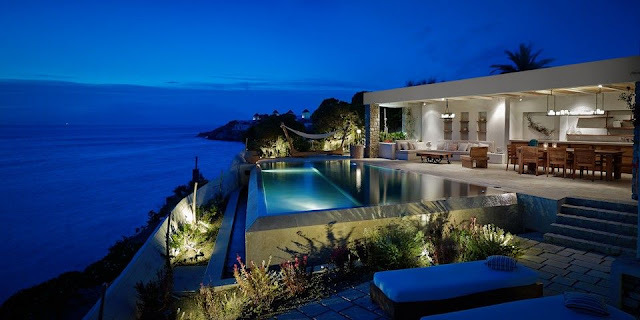 Contact a travel expert at Mykonos Concierge to help you find the best room according to you needs and desires. Our agents work around the clock to offer you the very best Mykonos has to offer.